This one scene encapsulates why Captain America: The Winter Soldier may be the strongest Marvel film yet in a franchise that should by now be flagging. Anthony and Joe Russo, up until recently TV comedy directors, somehow manage to fill the movie with ideas and characters just short of the amount where its seams might burst. But The Winter Soldier never feels overstuffed the way other superhero movies do, particularly those with multiple super-characters (I'm looking at you Spider-Man 3). 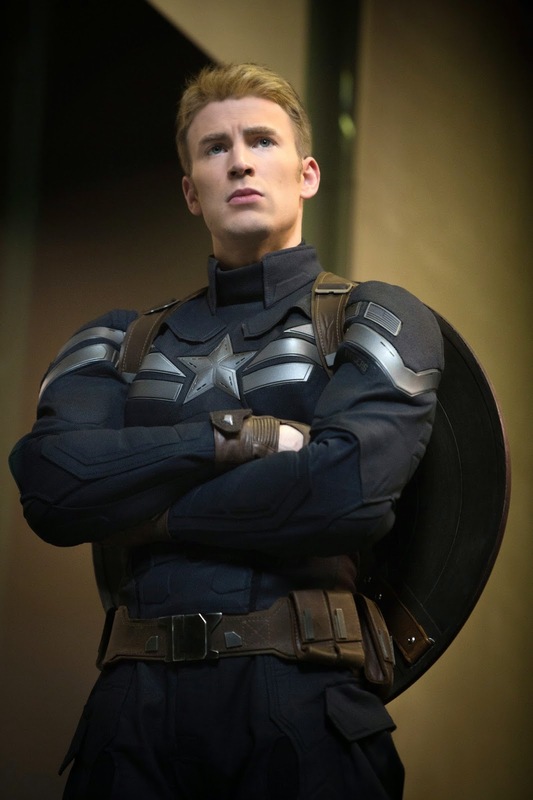 Instead, the result is a rich tapestry that incorporates everything from the relationships established between Cap and his friends in the previous film, The First Avenger, to the global government's PTSD after the alien invasion in The Avengers. The notion of Cap as a man out of time is explored in some depth. When he's lonely he visits his own Smithsonian exhibit in order to reconnect to his past and long dead brothers-in-arms. Vintage vinyl gains new meaning when one hears Swing Era big band music playing on his turntable. 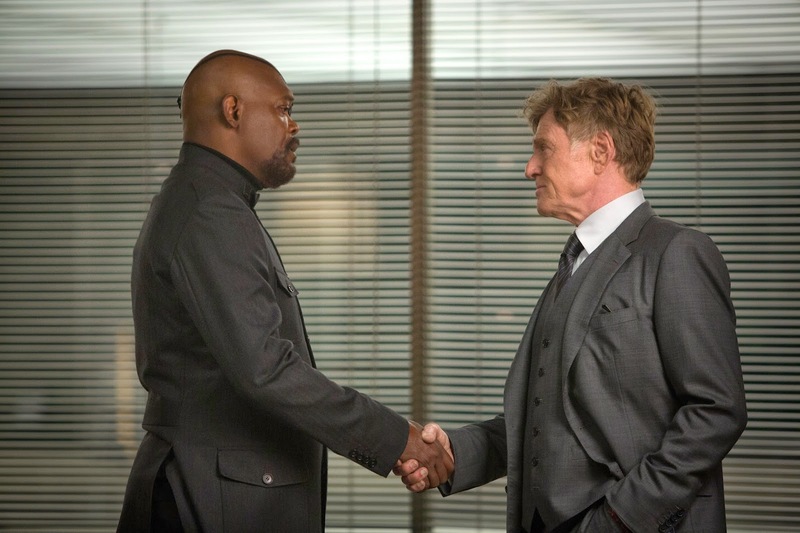 Comic book readers will notice that more potential breakout Marvel heroes (and villains)—Cap's new sidekick, the Falcon (Anthony Mackie), mercenary Brock Rumlow (Frank Grillo), second-tier villain Batroc the Leaper (Georges St-Pierre), SHIELD's Agent 13 (Emily VanCamp)—are introduced within the picture's first act than in the last couple of Marvel films combined. Yet, one never feels like it is forced on the viewer as a set-up for future commercial success. Top this with the meta-casting of Robert Redford as the rather complicated chief administrator for SHIELD, Alexander Pierce, and you have a Marvel movie that refuses to simply fit inside the usual parameters. For just like Redford played the chiseled, California-blond at the center of paranoid 70s conspiracy thrillers like Three Days of the Condor and All the President's Men, now we have all-American Evans at the center of just such a thriller. Behind the cloak of comic book heroics, The Winter Soldier explicitly serves up parallels derived from today's headlines concerning the overreach of our intelligence/homeland security apparatus and the application of fear to wear down even the most watchful of their civil liberties being unlawfully infringed. Metaphorically, what better hero than the idealist throwback Captain America, an obvious stand-in for our nation and how it's been deceived by its guardians. But the Russos add a few complicating factors into the mix. Like, who knew that shady former KGB operative Romanoff could make such an ideal compatriot for the incorruptible Cap? Or that Cap's most loyal colleagues would be either persons of color or women? Entering into all of the chaos generated by the double-agents trying to undermine SHIELD is the Winter Soldier himself. A silent, mysterious sniper with a cybernetic arm, the Winter Soldier is a formidable enemy, a super-soldier of a kind who proves to be Cap's opposite number both in appearance and politically. 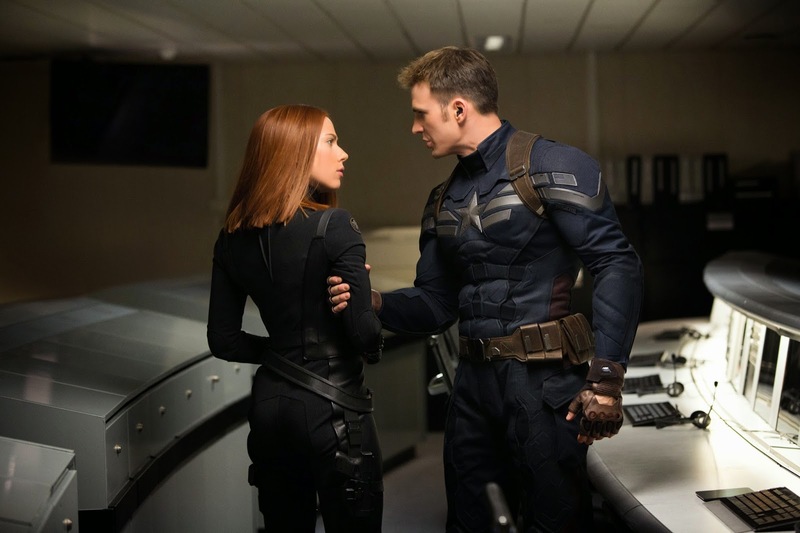 With ties to both Cap and Black Widow's past, the Winter Soldier ends up being the movie's secret weapon, attacking Cap straight in his nostalgia-ridden heart. The Russos use the Winter Soldier sparingly, but always to remind us of how even the relatively unimpeachable Cap—and in effect, this country—has a few skeletons in his closet, sacrifices made or shortcuts taken which didn't quite work out so well in terms of spreading the word of our exceptionalism. The Winter Soldier is a very different movie than The First Avenger. It is a response to its patriotic predecessor, a corrective that refocuses our perspective away from the simple, iconic trappings that represent freedom and onto what it really means to champion liberty for all. Maybe it takes a movie like Captain America: The Winter Soldier, all dressed up in the superhero costumes of our contemporary mythology, to finally make otherwise apathetic consumers realize that it's impossible to truly be free in a climate of fear.